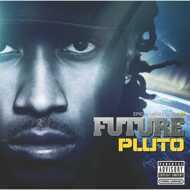 Future’s breakthrough album ‘Pluto’ is now available on vinyl for the first time ever. The album has been remastered specifically for a vinyl release and pressed onto high quality 180gm vinyl. Housed in a stunning silver reflective cover with black protective inner sleeves and special picture and credits insert.